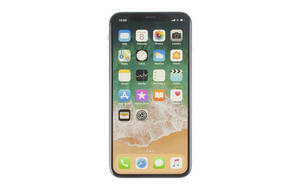 Snapshot: The Apple iPhone X (256GB) is an iOS phone with a 12 megapixel camera and a 1125x2436 screen. How does it rate? "iPhone X the best phone on the market "
23 Sep 2018, Jimi M.
Great phone, the camera is unbelievable. Photos can be taken while you are moving.they are simply the best photos you can ever take with a phone. The power of the phone explodes when you turn it on. Very fast in downloading, moving files is no problem. Its a very not so light but enjoyable piece of equipment you will treasure for a long time. If you had iPhones before this will let you download from every iPhone or pad you have owned. Fast, accurate and powerful. If you want the best you pay for the best. 25 Aug 2018, Mike C.
Easy to use operating system and super fast. No lag chopping between apps Fastest download speed and app updates. Light and ideal size unit. Amazing cameras and video capability. Good battery life with fast charge rate. Expensive but we get what we paid for.